Tram passengers in Sheffield face disruption this weekend due to temporary safety measures brought in after an employee was attacked. Stagecoach Supertram said one of its workers had been assaulted at the Herdings Park terminus yesterday evening. To protect staff, it has introduced temporary changes to purple route services tonight and tomorrow evening while safety measures are reviewed. Tonight, the 7.45pm service from Cathedral and the 8.20pm service from Herdings Park will be the last to operate to and from Herdings Park, with later services only operating to and from Birley Lane. Similar changes will be in place tomorrow, with the 7.46pm service from Cathedral and the 8.22pm service from Herdings Park the last to serve that stop. 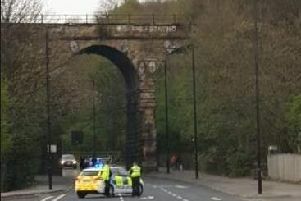 A Supertram spokeswoman said: “We are assisting police with an incident in which one of our employees was assaulted at Herdings Park terminus yesterday evening. "As a result of the incident, and while we review the measures in place to keep our staff safe, we are making some changes to our night time services in that area over the remainder of the weekend. "This kind of behaviour towards our staff is absolutely unacceptable and we are providing any assistance we can to help the police track down the person responsible. "Fortunately the employee involved is expected to make a full recovery and our best wishes are with him."